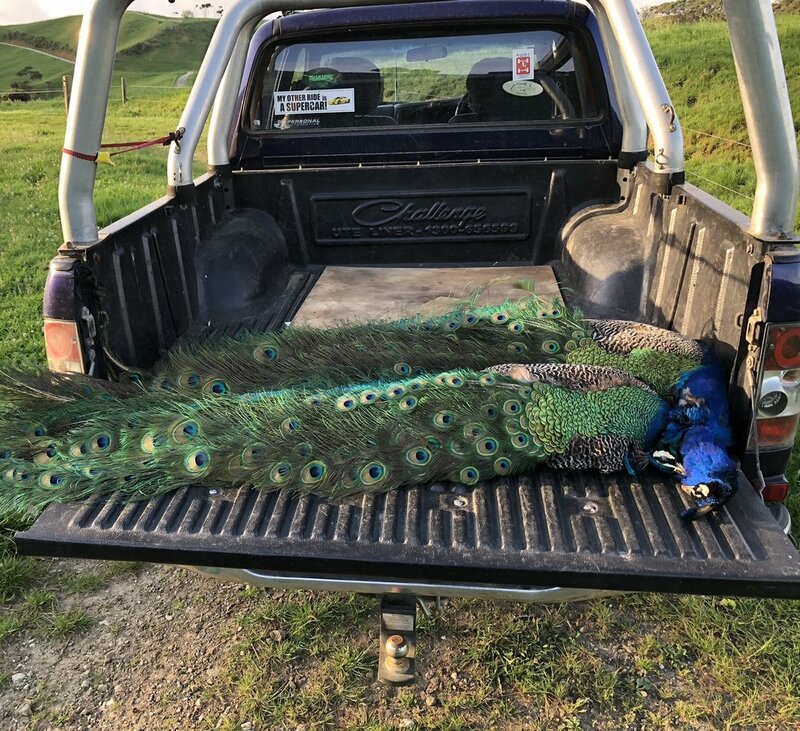 The South Head area has a very large population of feral peacocks and local farmers encourage hunting of this species to keep the numbers under control as they consume a large amount of animal feed and are especially fond of the local maize crop. 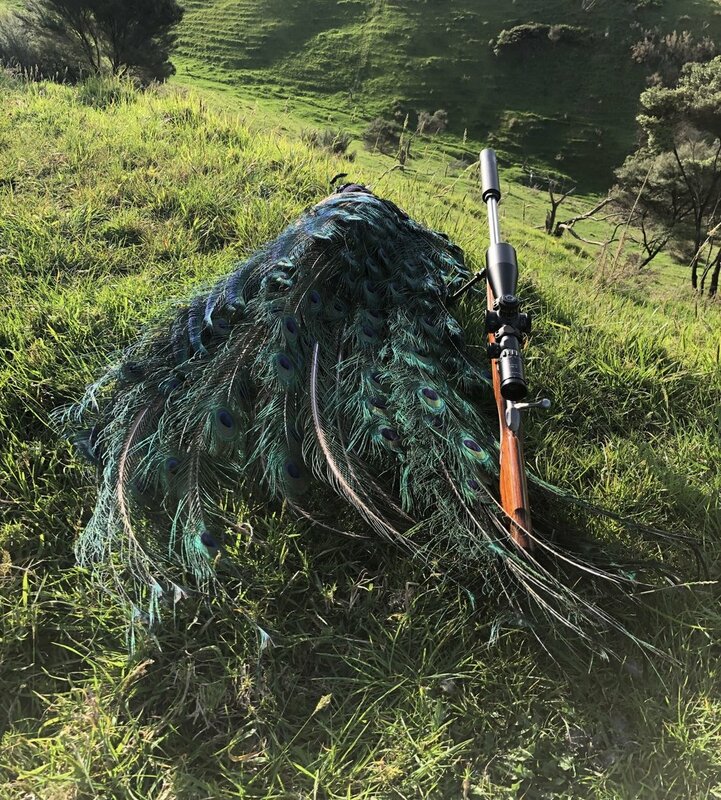 Unlike our Turkeys, Peacocks are very challenging to hunt despite their numbers. They have fantastic eyesight and if they are in an area where they are hunted regularly they will challenge the best bow hunter to get inside of 40m. We typically hunt them as “spot & stalk” but ground blinds are best if you want to get serious and take a unique trophy. Long range shooting out to 400m with varmint rifles is also available if they really get you irritated!